Click here to read the full article on Nature’s website. This entry was posted in News and tagged Arecibo Observatory, Radio Astronomy, Richard Langley on January 15, 2017 by Thomas. MAN!!! Can you imagine using Arecibo for EME on other bands, like 222MHz, 2M, 432MHz, and even 6M? That reflector is big enough. EME FM could be possible, albeit very brief. But they already blew up Arecibo, in 1995’s James Bond film “Goldeneye”. 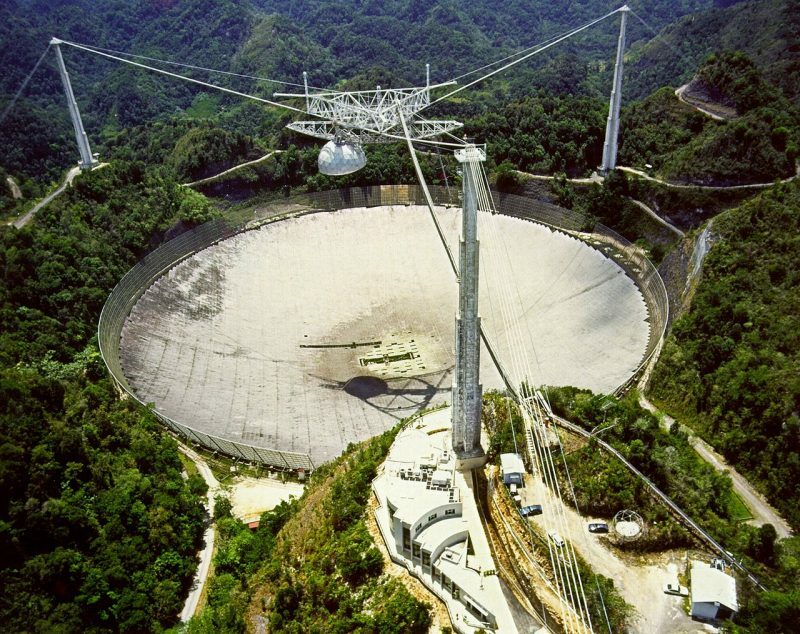 Arecibo started up about 1963, and soon Sam Harris, a ham well known in VHF/UHF circles (he was doing moonbounce on 1296MHz and built the first parametric amplifier, very low nose), moved own there. In retrospect his role must have been big, but the articles at the time made him sound like one of the technicians. Anyway, about 1964 he arranged time for some amateur radio moonbounce. I assume they may have still been testing things, because it never happened later. With the big antenna, it meant that they could hear incredibly weak signals. Which meant the other end didn’t need much of a station, transmitter or antenna. One report said “it sounded like 20metres”, so many signals heard at Arecibo. So lot of people got a chance at moonbounce at a time when otherwise you needed a big antenna, and a fussy receiving system.